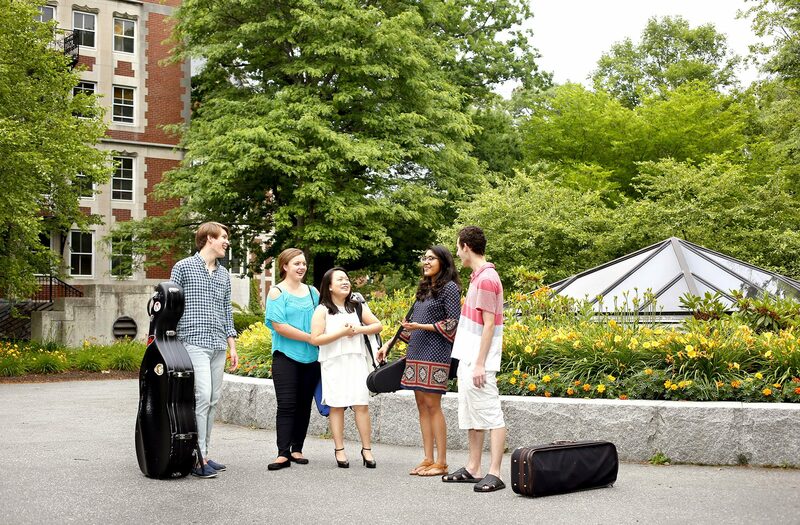 Students over the age of 13 are housed in Bowdoin College dorms and apartment buildings. During the enrollment process, accepted students may indicate roommate requests. Washers and dryers are available in every residence hall. To use the machines, first go to the summer programs office in Coles Tower to load cash onto your ID card. Students under the age of 13 must be accompanied by a parent or guardian during the entire length of their stay. This age group is not eligible for on-campus housing and must arrange independent accommodations. See the Brunswick Downtown Association for lodging options. Breakfast, lunch, and dinner are provided by the award-winning Bowdoin College dining hall. Students describe the food as “exceptional” and “amazing.” Meals are a great time to socialize with chamber groups and friends, connect with Festival faculty and staff, and meet other students.